Made to Order when on backorder. Stock levels show we have made ready to ship. 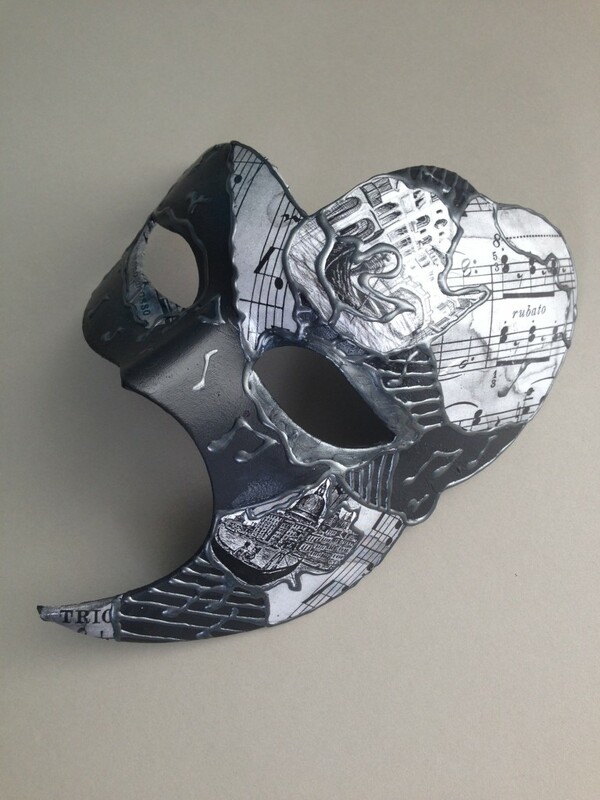 This Venetian made paper mache mask has been handcovered in black & white scenes of Venetian Gondolas, buildings and musical notes and coated in a PVA sealer. The paper is then edged in a raised grey beading to enhance the design. Lightweight mask that is quite large in style but suitable for most face shapes. Ties with ribbons. Each mask made will be slightly different – images may vary between masks!